We spend so much of our time focusing on what is lacking in our lives. We focus on being, doing, and having more in our lives. When we focus on more, we become blind to all we are already. All we can do. All we have in our lives, right now. What if, in many ways, we've already won the lottery of life? Really nice, gratitude is probably the greatest thing we can do in our society to increase our own happiness. 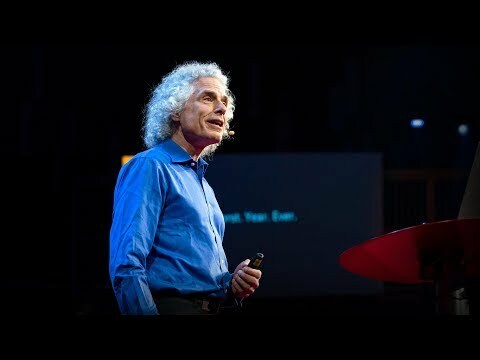 Steven Pinker's recent work is also really uplifting. That was good for me to watch. Sometimes, you need the bigger picture to appreciate the progress, and to stay positive about the progress to come. Yes, it's not about saying everything is perfect, or even better for everyone all the time. It's about saying our efforts haven't been in vain and if we continue to work on our problems we can continue to solve them. May I continue to practice gratitude and joy. joy in small things, for example I discoved a 72% cocao Belgian chocolate bar (Godiva) that has Buddha nature ... and yab-yum. 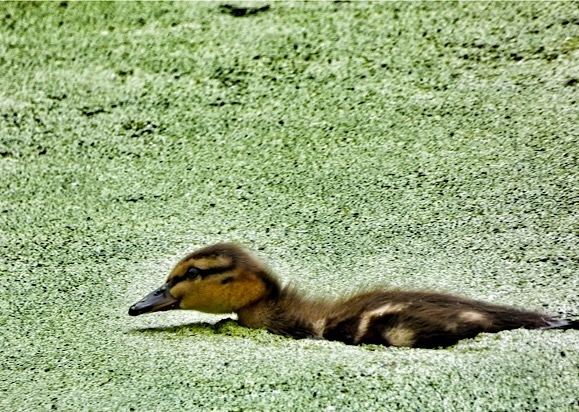 nature ... yesterday came across a vegetarian duckling chasing damselflies. Are they evolving carniverous tedencies? I like the idea in the article about taking something sort of hum drum or negative and seeing the positive in it. Like the simple practice of turning the thought, "I have to do something" into "I get to do something". I remember a talk on gratitude that brought up a similar idea, to take ordinary annoyances and reframe them. So if you have an itch on your leg instead of getting upset over it remember that you actually have feeling in your legs, something not everyone has.